Sharkbanz’s patented magnetic technology is the result of long-term scientific research and testing. Sharkbanz utilize powerful permanent magnets to create an effective shark deterrent that’s always on and require no batteries or charging. 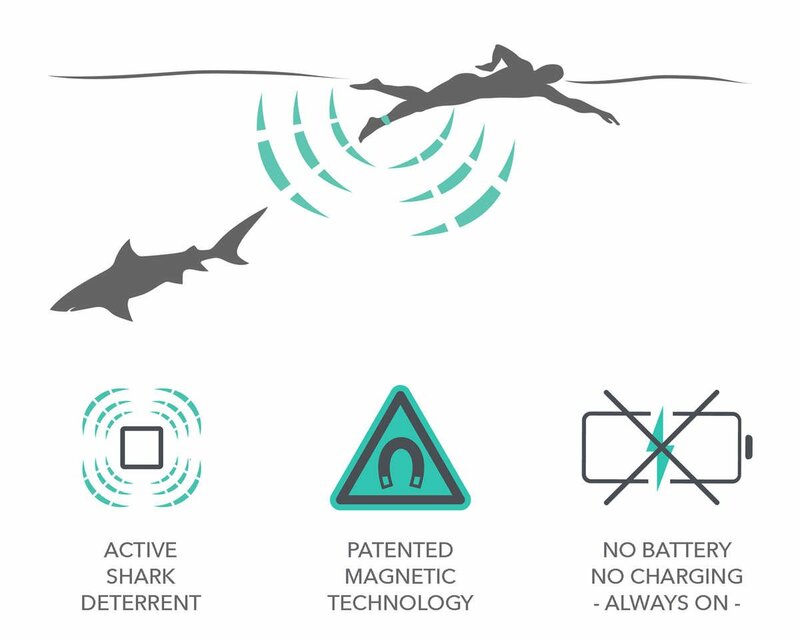 When sharks approach Sharkbanz, they detect the device’s strong electromagnetic field, which provides a sudden sensation that is thousands of times stronger than the signal produced by anything in a shark’s normal food chain. Consequently, sharks are deterred away from Sharkbanz. This cause and effect is analogous to having a bright light suddenly shined in your eyes in a dark room. You would not be hurt, but you would want to turn away. 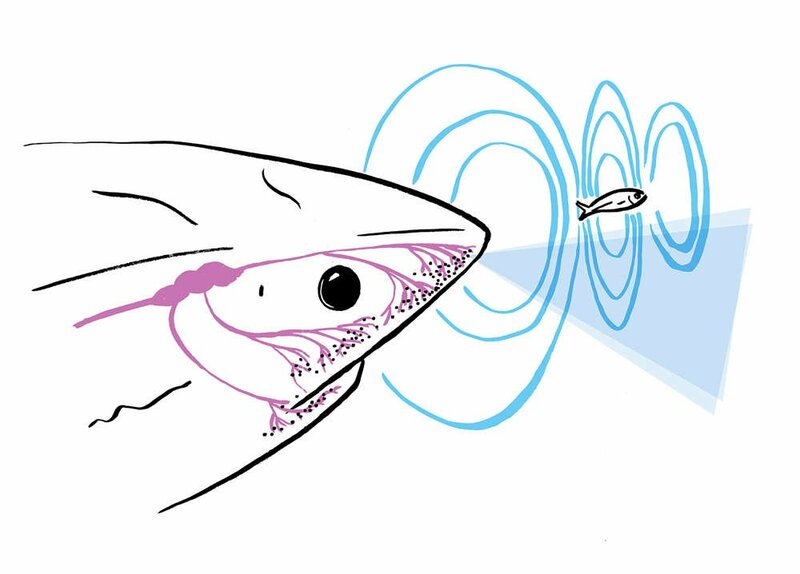 An artist's rendering of a shark's Ampullae of Lorenzini - used to detect prey's weak electrical fields generated by its muscle contractions and movements. The ability of sharks and rays to detect weak electrical signals in their surroundings may be one of the greatest factors relating to their survival through the millennia. Every creature, whether a fish or friendly beach goer, generates weak electrical fields while in motion. When sharks are close to potential prey, their electrical sense plays a major role in making the final attack. Actively hunting sharks may have as many as 1500 ampullae around their snout and head, while more sedate species may only have a few hundred. 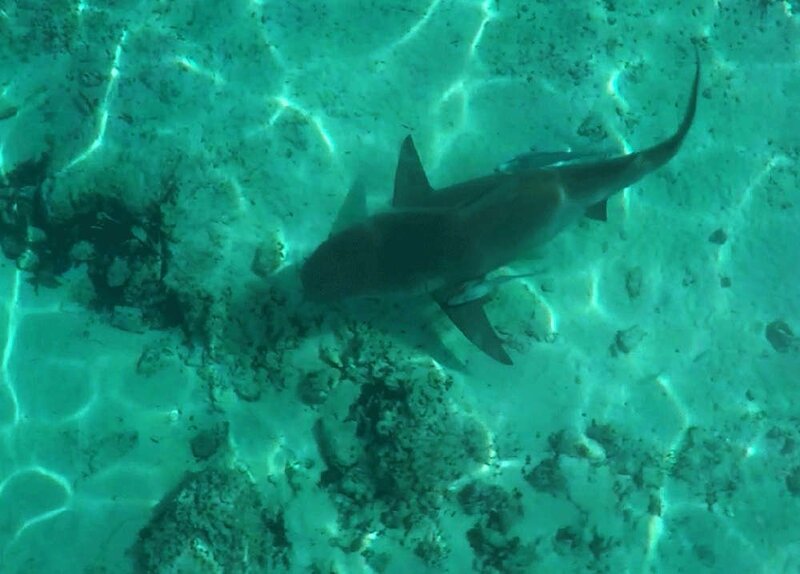 A Bull Shark uses its electroreception in sandy (murky) water to hone in on a piece of bait, ensuring its accuracy. Sharks use this sense to locate objects nearby, and it becomes vital when they cannot depend on vision alone. In the surf zone, the water is murky, and people and sharks are sharing the same space. Most shark bites occur in these hard-to-see conditions. People are not on shark's food menus, but when their electrical sense alerts them to potential prey in their area, they are likely to investigate. Remember: sharks don't have hands, so they use their mouths to feel. This is why the majority of shark bites are "hit-and-run" attacks, meaning the shark bites, then quickly leaves after it recognizes someone isn't food. Unfortunately, a simple case of mistaken identity can do a lot of damage. Sharkbanz warn curious sharks that the wearer is not food before they bite, reducing the risk of hit and run attacks. A Bull Shark cruises the ocean floor in the Bahamas. Sharkbanz are the result of more than a decade's worth of testing and research on the effectiveness of magnetic technology used to deter various Elasmobranch (shark) species. 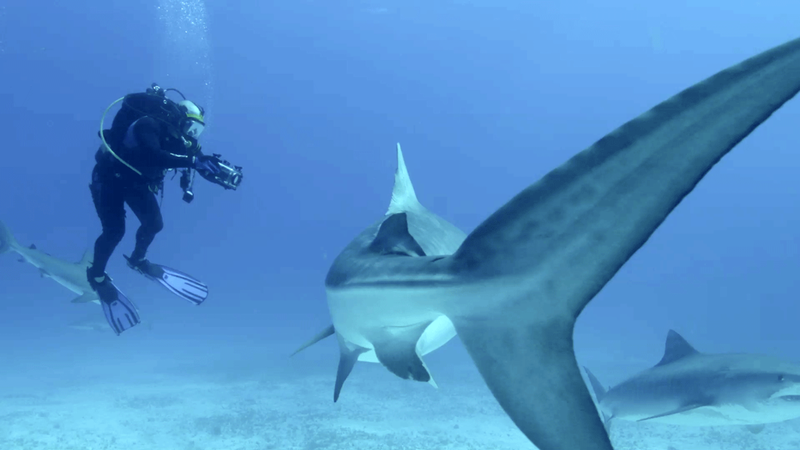 Dr. Patrick Rice (of Shark Defense Technologies) studies and films a large, adult Tiger Shark in the Bahamas. Since its scientific discovery over 10 years ago, the theory of permanent magnets functioning as shark deterrents has been extensively studied, researched and tested on a variety of shark species. Sharkbanz are the result of this R&D. Our company maintains constant contact and collaboration with the founders of this shark-repelling science, Dr. Eric Stroud and Dr. Patrick Rice of Shark Defense Technologies - the leaders in shark repellent technology. We continue to test Sharkbanz on as many predatory shark species in a variety of scenarios as possible. 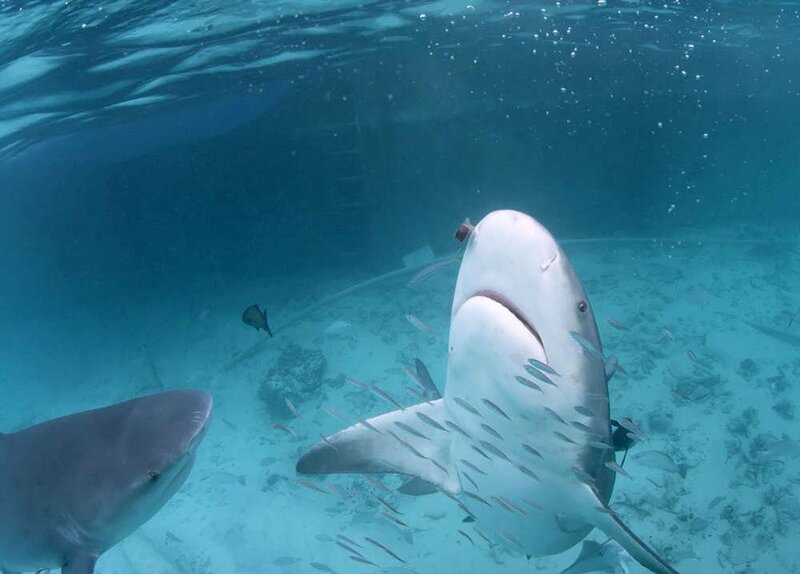 Successful test demonstrations have already been conducted on Bull Sharks, Hammerheads, Blacktips, Lemon Sharks, Sharpnose Sharks, and Caribbean Reef Sharks. We are scientific and results driven, and other predatory species will be tested. Furthermore, we are continuously working to promote (without influencing) further independent testing of the product by credible and reputable members of the scientific community. We're not here to offer blanket statements and/or "magic bean" products. Our goal is to improve on Sharkbanz' effectiveness through strategic R&D, which has been underway since 2013. 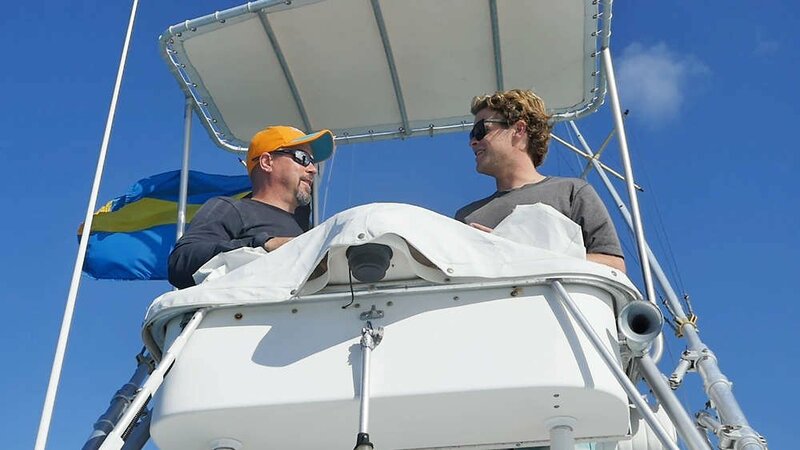 Dr. Patrick Rice (Partner, Shark Defense Technologies) and Nathan Garrison (Co-Founder, Sharkbanz) chatting during one our of joint research missions. Sharkbanz Team, in association with Discovery Canada and Sharkdefense Technologies, LLC., conducted a comparative research study with Sharkbanz products on wild bull sharks in Bimini, Bahamas. This study and its data results proves the effectiveness of Sharkbanz as an active shark deterrent on Bull Sharks. For more information on the science and research behind Sharkbanz's patented shark deterrent technology, please visit our 'Research' page, found here.